Two weeks ago I asked my followers to share their stories about their road trips to ODC for a chance to win a $25.00 gift certificate…here is a great one for all of you! This is a trip that began in Arlington, Texas. Our oldest child, Lydia, really wanted to attend college in the northeast. She is very bright and has a delightful personality. High School was not easy for Lydia. She was sick A Lot- missed the first 50 days of her junior year. She returned to high school with a diagnosis of Celiac and no gall bladder. Amazingly she made up all the work and kept her 4.0. Colleges are very competitive, much more than in the “good old days”. Of course the one she really felt was “the one” was Tufts University in Boston. Now Tufts only has a 7% acceptance rate and Lydia got accepted! (Okay we are a bit proud.) I just assumed we would fly to Boston, gather all her needed college items and she would be all set. Then Steve, my husband, had an idea (eek) – why not drive? I have made the drive before and it takes a good 3 days. I was not a fan of the idea. Then he talked about how driving would give us an opportunity to prepare us for this big life change. So we rented a van and the four of us started the long drive. Of course we had Steve (husband) Lydia (smarty pants daughter with Celiac), Paul (our 13 year old son who asks for extra gluten with his meals) and me ( Andi- wife, mom and with celiac). As I am sure you know, long road trips end up being lots of games, bathroom breaks and food. It was not long before all of us realized this was our ” Drive across America Gluten-Free tour” We used the “find me Gluten Free” app. And we were very picky. It was great fun to compare and contrast all these places. When we made it to Maryland, we were ready with our pick- One Dish Cuisine . As we walked in the door cheering, I think they realized we were enthusiastic eaters. I liked the color coding system. It made picking so much easier. I think an indicator of really good gluten-free food is when the non- celiacs love it too. Such was the case here. We all had our fill of great GF food and treats for the road. To top it all off the staff was great. 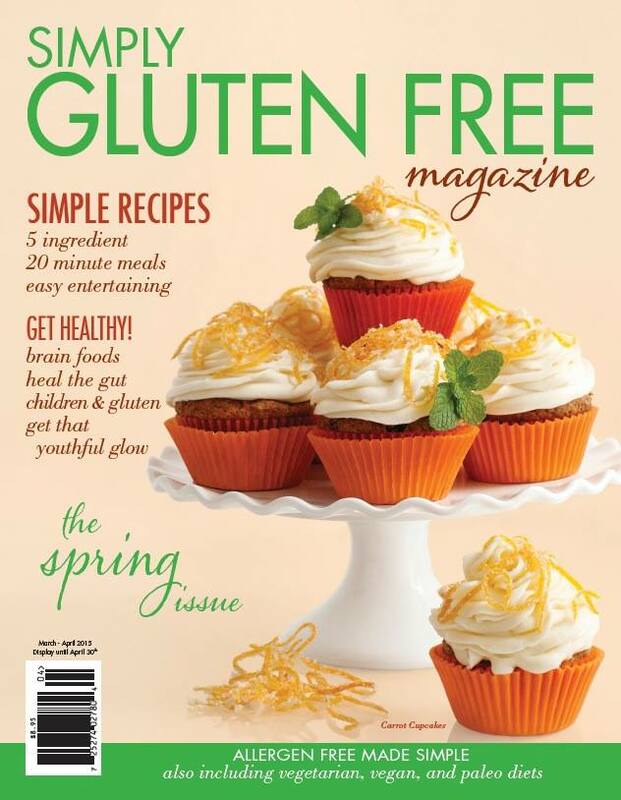 So when I do write my Gluten free eating across America book – please be assured you will be at the top of the list. Thanks, Andi Vignale and family. ODC Is Expanding It’s Reach Again…. As many of you know we have been supplying meals to several local hospitals for the past four years. Currently our meals are served at Children’s National Medical Center in Washington, DC (in-patient & cafeteria), Anne Arundel Medical Center in Annapolis, MD (in patient) and Carroll Hospital Center in Westminster, MD (in patient). We are pleased to announce that we will be adding cafeteria meals at Anne Arundel Medical Center! We will be putting in a stand alone freezer with our frozen meals, desserts, muffins, etc. Meals will be located in the South Port Cafeteria and the freezer is a good size; see photo at bottom. You can pop in and grab an item and take it home or you can heat it and eat it there in the cafeteria! AAMC has a microwave, and will provide wipes to clean it out and paper towels to cover your entrees with. At this time they will not be providing a dedicated microwave. I urge you to make sure the microwave is clean prior to using it. If our products are as well received as they are for in-patient meals; they will consider a dedicated microwave and table. #1 Rated Independent Restaurant on AllergyEats! From January 2015; “Dishing” with One Dish Cuisine Cafe, Deli & Bakery, The #1 Rated Independent Restaurant on Allergy Eats! Click on link to read the story/interview!